This topic contains 24 replies, has 16 voices, and was last updated by Kylie 1 year, 3 months ago. I am a previous Trimmer from the old version. I lost 24kg’s on the old version about 3.5years ago, however I’m an emotional eater and have been through stressful times. I have been real good at finding excuses recently. I just want to be as happy and mentally strong (not to mention as light) as I was back then, plus some if possible. I would love for those of you who are currently on the program, or even like me and just beginning to share your story and experience so far on BT. Hi I too am staring on day four all is going well so far. Life gets in my way most of the time, just when you think you can do this something or someone will get me of track. Very easy to do this . Hoping I will stay focused and continue this as a lifestyle instead of a diet. I am beginning today, hopefully the silly season allows me to be successful! Any ideas for Days 1-3? 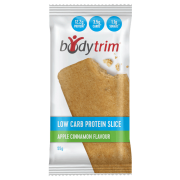 Hi everyone I lost 38kgs over 7mths on the Old Version of Bodytrim & have kept it off for more than 4yrs because I continue eating the Bodytrim way. The lack of hunger makes me feel really good so why spoil that comfortable feeling by piling on the Carbs & Sugars that give me cramps. Plus the constant compliments about how I look are wonderful. But now I want to lose another 5kgs to get down to my BMI so I’m looking forward to enjoying this 12 week journey. Good luck to all of you – dont feel guilty if you slip & don’t weigh yourself the next day – simply go back to basics for a couple of days & your body will adjust. And plz never give up because you will look & feel wonderful once you reach your goal. Hi everyone, thanks for introducing yourself on our forum. We love hearing about your personal stories and how wonderful you are in supporting each other. Make sure you enjoy the festive season but remember the key is in eating with moderation. Don’t ruin all your great progress. Good luck! For days 1- 3 we recommend 3 shakes a day; 1 for breakfast, 1 for lunch and 1 for afternoon tea. Then for dinner 100g of protein and 2 cups of low starch vegetables (check the Food Servings Guides for the foods we allow for each phase). During phase 1 (and all phases) we also recommend 2- 3 L of water and low intensity exercise- this could be walking, cycling, swimming or treading water, or something like gentle yoga, what ever is easiest for you with your injury. 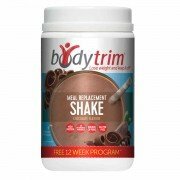 For phase two of the program -Trimsition (which you are probably due to go on by now), we recommend 2 shakes per day; 1 for breakfast, 1 for lunch, and 2 protein snacks (morning and afternoon tea), then for dinner a balanced meal consisting of 1 serve of protein, 2 serves of low starch carbohydrates (could be a mix of veg and fruit), and 1 serve of starchy carbs. Check out the Food Servings Guides or food lists to see the types of foods recommended during this phase.Also in phase 2; 2- 3 L of water and low intensity exercise- as much as manageable for you. Just about to start and just wondering, can you drink Coke Zero whilst completing this program? I don’t think so but just can’t find any info on it. In the old program Geoff Jowett said that any coke Zero product was fine also Pepsi Max, Sprite Zero etc, because the main enemy was sugar. However, this new program mentions nothing “packaged” including all soft drinks, sugar free or not. I found when I first started the old program, especially in the first 3 day detox phase, I had to drink so much water that I really couldn’t fit any other drink in anyway. I wouldn’t stress if you have one here or there, (in my opinion only, you don’t want to deprive yourself) but perhaps try get your water in first then see how you feel after that. 2-3L per day is recommended! Good Luck, how have you gone in the last 2 weeks? Hi People, I wish you all the very best in achieving your goals, Good Luck to all of you. my fridge with healthy foods for the next week, so at least I will be eating much better than I was before. We are sorry to be losing you Kaye but best of luck! Yes, make sure you arm yourself with plenty of fresh fruits and vegetables, and protein rich snacks. Try include a good source of quality protein with each meal to help you feel fuller for longer. Starting tomorrow have done the old diet but this one is new to me !!! Many find the first three days the most difficult to get through with three shakes a day and the one protein + non-starchy carb meal for tea. Make sure you keep you water intake up, herbal teas can be great for a bit of flavour, also soda water with a squeeze of lemon or lime. 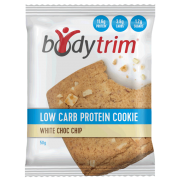 If you are really struggling with the timing between meals you could always split your dinner meal in two (2x 50g of protein and 1 cup of non-starchy veg) and have these at separate times. If you really do need something to nibble on then your best option would be non-starchy vegetables; a tomato, couple of radishes, cucumber, celery or capsicum- these are all low calorie options. I’m on day 1 today. 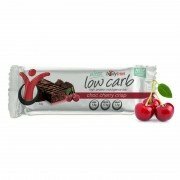 Aiming to lose 20kg. I’m starting on 8th Jan now.. tomorrow..
Keeping busy keeps your mind off of it, and each time I went to the bathroom I pictured it as getting rid of unwanted fat. lol I Know initially you loose a lot of fluid but if I picture it like that I feel more positive. Its all mind games really..